Western Front Media Arts and Theatre Replacement are pleased to present the debut performance of a new song cycle by Veda Hille, accompanied by a visual narrative by Annabel Vaughan. 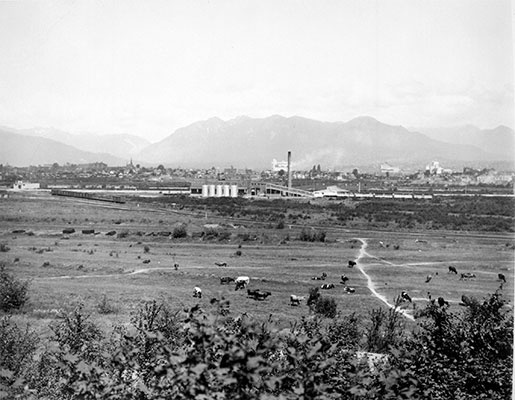 In honour of the City’s 125th birthday the work will animate a vast area of the city that currently lies dormant – the False Creek Flats. Annabel Vaughan is an intern architect and city thinker. Veda Hille is a musician and city singer. Together they turn their attention to the False Creek Flats, to create an evening of song, stories, and thought. Looking at both the history and mythology of the Flats, Annabel and Veda will present a view of the area. The audience will be given an artist-drawn map of False Creek at the end of the night, so that they can take themselves on a self-directed walk and see this part of the city from a new perspective.